A source that I’m not authorized to quote assures me that, on October 30, 2010, the privilege of the SEPSA agency will be withdrawn, by virtue of which the “blue” custodians – so nicknamed because of the color of their uniforms – have been paid a “stimulus” of 48 CUC a month (1,152 in the misnamed “national currency”), an amount that they have been getting since they took away other privileges years ago, such as regular allowances of toiletries and food. As a result of this new cut that will eliminate the only attractive feature of the occupation, many of these guards, who work as custodians at banks and at exchange houses (CADECA) have begun seeking other horizons of employment prospects in a time when having access to a job in Cuba is equal to or more difficult than eating a piece of beef (which is saying something). Though the wave of layoffs has not reached the status of the tsunami that it will achieve between the first quarter of next year and 2012 – when the final completion of approximately 1,200,000 layoffs, which is said will be the number of unemployed on the Island – social discontent is palpable. Uncertainty, irritation and a slight but steady increase in the crime rate are the notes that make up today’s Cuba. On the other hand, there seems to be a kind of popular consensus to not apply for licenses for the exercise of self-employment (a palliative that the government is trying to implement as an alternative to a crisis of unprecedented labor supply for the revolutionary process) due to excessive taxes, the lack of a wholesale supplier market, the chronic instability of supplies and the high retail prices, the uncertainty about the economic future and – particularly – in the absence of a legal framework of guarantees to investors, among other causes. The experience of those individuals who in the 90’s were victims of official pressure and systematic extortion by the state inspectorate responsible for “controlling” the quality of services and the “legality and purity” of self-employed workers, discourage people’s interest in risking their funds, usually minimal or very limited, in a leap so uncertain and where those who invest their capital are the most helpless of the system: the common Cubans. The employee at a public office who was complaining a few days ago about the recent loss of her husband’s job and claimed that, because of that, she would stop making payments for the Chinese refrigerator they had given them in exchange for the old Russian home equipment. Little more than three or four years ago, the tropical sultanate took up the eccentric decision to imitate the old story of The Thousand and One Arabian Nights, in which they exchanged old lamps for new, but with more practical sense in the Arab case. “I cannot afford to deduct one cent from my salary”, the woman lamented, and she added: “If they start discounting it, I will also stop working and will use that same refrigerator for the sale of ice pops”. For several months, the issue of the defaults recurred on TV and the written press, urging people to repay what “the state had acquired with so much effort and sacrifice for the sake of saving energy and raising the living standard of the people”. In order to pressure the debtors the food markets, where products on the ration cards are obtained, displayed lists of “slow paying consumers” who had not yet begun payments. Rumor had it that payments would be deducted from wages and communist party militants would be sanctioned if they had not complied with their payments on a regular basis. Now, mired in the biggest socio-economic crisis that Cubans can remember, such a debt is not spoken of, nor are the slow payers mentioned, as if, all of a sudden, the debtors had settled their outstanding debts. Or could it be that, half a century behind, the hacienda owners have suddenly discovered that, in fact, we are the creditors? Margelis works in a company belonging to the Gastronomic Enterprise in Centro Habana and is a member of a rationalization committee that includes those who are in charge of the dismissal of some of their colleagues. The task is just as thankless as it is extremely complex for several reasons: in recent times, the individual acting as director of the company was ousted when they discovered millions of pesos missing, which led to his placement under precautionary measures “while the case is investigated” and replaced him with a punctilious uniform, who, showing admirable zeal in debugging field leaders in the municipality, has removed more than one manager and other leaders, and has kept on whipping those who still have not fallen under his purifying rage. Further complicating matters, it is known that in these culinary centers there are long-standing corrupt goings-on that manifest themselves in different ways: defrauding customers — preferably foreign tourists — which translates into illegal sales of counterfeit products such as cigars and rum; they are places for offering the services of prostitutes and others; wages are not paid to workers by the administrator. Under the pretext of assigning such wages towards the maintenance and renovation of the facilities, such wages are appropriated by the administrator with the prior consent of the employees, who sign the roster, taking into account that they will earn more by cheating customers than by collecting the pay that is legally due to them. Add to this that there are dining facilities (bars, restaurants and cafes in the above mentioned network) in which the administration has disproportionately inflated the employee roster in order to be able to appropriate more wages every two weeks. Since it is such a profitable activity, lots of candidates fill positions as bartender-waiters who will report net earnings of 80 to 100 CUC in each work shift, which in turn produces more income to managers, who sell each of those openings for 200 CUC plus get a share of the ill-gotten gains of his employees, turning a blind eye to illegal activities going on at the establishments with their full consent. It is, therefore, a closed cycle of corruption in a society completely foul from the bottom up, caught in a system that, when the individual initiatives of Cubans are cancelled, the effect of the loss of value corrupting every place increases exponentially. 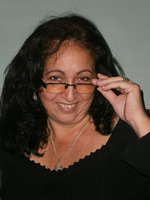 These days, Margelis must decide, along with the other commissioners, which ones of these thieving associates (who, along with her, and just like her, cheat customers and bribe the bosses) meet the appropriateness requirement to remain as part of the gang and who will be abandoned to their fate when they are laid off. She lives mired between anxiety and distress, because she knows that in her environment — as if it were a Sicilian mafia — relative job security is based on a silent system of loyalties, and betrayal is punished harshly. Nobody is safe, neither Tyrian nor Trojan, and while the funnel of the wreck keeps widening, almost no one understands that there is no use trying to ward off the effects of failure if the causes of so many evils are not eradicated. Purges and dismissals will not make the economy function, just like they will not end the thievery from the State, the smuggling and corruption, nor will the desperate and insufficient government measures turn this obsolete machinery productive. 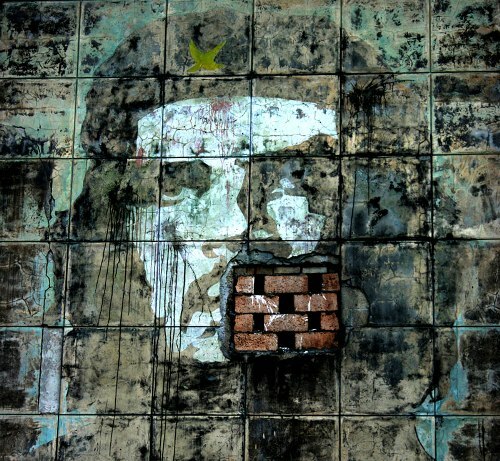 The only thing that can really break the cycle of corruption and loss of values from which Cuban society suffers today is the disappearance of the system that engendered them. As everyone knows, the tendency of many Cubans to magnify the qualities of the Island’s nature and its natives, as if we had been chosen by divine grace, is proverbial. There are a few written works – some of them real satiric gems – whose sole purpose is to satirize this peculiar habit of ours to “be the bestest”: the ones who dance the most, the most mischievous, the best flirts, the bravest, the best lovers, the most loving, the ones who drink the most (and best cheaters), the funniest, the most caring, the most generous, the best hosts, the best baseball players and a long list of others that, of course, only include good things. To be even luckier, we were born in “the most beautiful land human eyes ever saw,” so the most beautiful beaches in the world are in Cuba, and the most fertile lands, the gentlest climate and the best tobacco, best rum, best coffee (here, an etc. similar to the one before). As if so much perfection were not enough, we are, in addition, touched by the gift of wisdom: we know about everything and we know it all. We are, therefore, something like superior stock, the result of a sort of celestial magma placed in this world to the wonder, amazement and envy of mankind. It’s unfortunate that, seemingly, so many virtues turn out to be useless when dealing with the harsh reality that we have been dealt, especially what we have been living through for the past half a century, and in particular, at this juncture. Since last October 4, 2010, the volcano of the layoffs previously announced entered its active phase and – to my knowledge – in meetings that have already been taking place in some workplaces, such famous Cuban qualities as solidarity and empathy have been relegated to second fiddle, and true camp battles are taking place among and against everyone to hold onto their jobs. Of course, the more attractive those positions are, like those related to tourism and others with similar opportunities for access to “convertible” currency, the bloodier the attacks and stronger the accusations against each other: “Why am I going to get fired and not what’s-her-face, who is corrupt and accepts bribes?” “Why me and not whosie-face, who’s always late?” In the midst of so much moral decay, there have been revelations of bedroom secrets: “Sure, they are not going to fire You-know-who because she f…ed the head of the commission.” It is said that, in recent days, the meeting of the dismissal commission at Terminal 3 of the International Airport was a real scandal that brought to light so much dirty laundry and corruption of work “companions” that even the District Attorney will take action in the matter. Definitely, at the moment of truth, too many Cubans put aside their love and their famous sense of humor and tear each other apart mercilessly, and the worst thing is that this is not a new experience. They did the same thing during the meetings of the 70’s and 80’s, those in which they “assigned” electrical appliances in the workplace, and more than 500 workers had to compete in revolutionary merits for a single Soviet refrigerator; or when it was time to hand out twenty or so apartments in a new micro-brigade building among hundreds of candidates – who had been working in the sun for years on its construction – and the officials in their guayaberas – who remained in their air-conditioned offices all that time – and suddenly all that hatred and the most acrid accusations came unleashed, not among the system’s managers, but among those who had, up to then, while they worked together side by side, shared their snacks and their hopes. 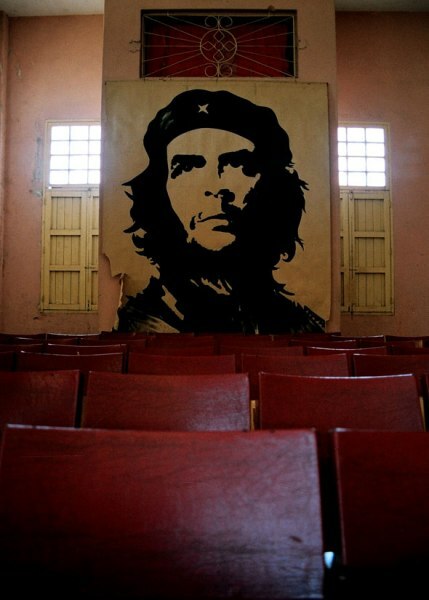 At the zero hour, no Cuban – or almost none, to avoid being absolute, although I have not known any exception to this rule – has the wisdom to discover where his real enemy is. At the zero hour, a Cuban on the island, instead of closing ranks with his fellow prisoners and staking the flag and saying, “either nobody leaves or we all leave”, instead of saying one thing and feeling another, vents his anger and frustration against his companions in a despicable, opportunistic and aggressive attitude that only defends the precariousness of his own survival. No Cuban here will leave with a placard that reads with at least one sentence begging, “don’t get me fired, I have family to support”, neither will he point his finger at his long time boss. These days, any Cuban will turn tormentor against one another, stupidly believing that action will save his neck. The myth of the native kindness breaks down because, deep down, if there is one thing this system has stamped on the national conscience it’s fear, with its eternal maximum expression: cowardice. Today, that is the most visible characteristic of a Cuban. The government knows it well, and it has the advantage of power and strength. That is why it has leisurely laid off with impunity half a million workers in barely six months; that is why it allows itself to decide the moment, the rhythm and the depth of the so-called “reforms” to “update” a model that for 50 years has already demonstrated its ineffectiveness and that, thanks to the proven “courage” of Cubans, threatens to maintain the sultanate until the end of time. Ever since the national organization that represents the Cuban workers elected itself as speaker on behalf of the olive-green bosses to announce the layoff of half a million employees in record time, a certain word has become fashionable and has circulated by word of mouth: appropriateness. To be “appropriate” has become the essential requirement to keep your job, but nobody quite understands what that term may mean, given that this is an extremely elastic quality that cannot be applied equally in each case. Let’s use as an example that an appropriate bank teller is not the same as an appropriate gravedigger. It is understood, although neither of them produces absolutely anything, like the respective appropriateness of an artist and of a restaurateur. Don’t panic if this is confusing, readers: I don’t understand how the mysterious meaning can imprint so much power on a simple word. I don’t think I am the appropriate person to explain it. According to an acquaintance of mine, secretary general of the union section at her workplace, right now, in order to be considered appropriate, it won’t be enough to rely on the backing of a combative-intransigent-integrated-vanguard-revolutionary. No sir. The renovated model demands a “new” conception of work, according to which, the worker has to produce and be efficient (¿?). Come on, after 50 years of sweating in vain, our leaders have discovered that work has to produce something besides poverty. Let’s not be too demanding of them, at the end of the day, it is a modest achievement. Thus, in every workplace, a different standard will be applied when measuring the adequacy of workers, and one wonders what indicators will be identified as appropriate for the street sweepers in a city so dirty, for the police officers who supposedly watch over the peace in a society that is becoming more violent every day, in which all kinds of crimes are committed, for the official jurists, responsible for carrying out legal injustices and twisting the already twisted laws, for the hundreds of officials who charge complete salaries to any son of a neighbor, to hinder all and each one of the undertakings they initiate, for the dozens of store employees and other service units that bask in customer mistreatment. Oh, by the way, what will be the appropriateness of the baker who will ensure the quality of our daily bread! (the extremely humble bread of the dying ration card that always comes up as the number one point on the government agenda of every delegate of the People’s Power). But, above all, I wonder what the members of the Councils of State and Ministers, starting with the General-President, who might be labeled with the grace of appropriateness after such wreck and collapse of the nation, amid such administrative corruption at all levels, and after the utter devastation in which they have plunged this country. Or is that there will not be a reorganizational shakeup of posts on the heights of the Olympus warrior? Now that we are renewing the model because “it doesn’t even work for us” – according to statements of the Great Orator in his first coherent words that we can recognize in a long time – isn’t it time to also remodel and rejuvenate the Jurassic Park of greenish dinosaurs that continue pounding on this devastated homestead? It is a real irony that after 50 years of a socialist revolution in Cuba, the surest foreign currency income that the government is counting on today is the income in the form of family remittances from abroad. Such remittances, a monolithic truth, are, for the most part, sent by Cubans who live in no other place but in the bowels of the dearly beloved monster, since that is the place where the great majority of emigrants from this island live. This turns capitalist labor, the terrible imperialism, and the demonic currency into sources of continuing permanent support for the regime that — oh, paradox! — has led to the largest emigration of nationals since Christopher Columbus landed, almost by accident, on this, the most fair of lands. Surely, the astute reader will have understood that the title of this post refers to the uncertainty that arises for the olive-green tower from the results of the recent parliamentary elections in Venezuela. Apparently, with the reawakening of the opposition in that South American country, after the unfortunate political mistake that had led to its withdrawal from the last presidential election — leaving the door open for the populist chieftain and thereby promoting his ratification in power — Chávez’s adversaries have gained ground in public opinion and today there is an effective force against the dictatorial pretensions in Venezuela, which means that things are going to be uncomfortable for the boisterous Mr. Chávez, who — after failing to gain the seats he sought with all the usual ventriloquists — must start submitting for approval his hitherto unilateral decisions which have allowed him to freely dispose of Venezuelan resources. Ergo, the horizon of the Caribbean military caste gets overshadowed at times in the face of the real possibility of the end or of a drastic reduction of Venezuelan subsidies in the medium-short term. For its part, despite new laws that offer attractive opportunities for those wanting to buy a parcel of Cuban land for tourist purposes — provided they meet the prerequisite of not being Cuban-born — potential foreign investors are being a bit reluctant to a financial venture on this sort of postmodern Turtle Island, ruled by the most cheating and greedy pirates all time, where there is no respect for any agreements, contracts or foreign coffers, and is set at the whim of the capital of unsuspecting investors who once fell in the trap. There have been many a sheep who, shorn by the insatiable pirates, are still bleating their disappointment and showing their scrapes. Now the Buccaneers seek to lure none other than the pragmatic and calculating gringos, who don’t seem to have the urgency of the decadent military elders. It is an open secret that, despite the official media – just like a jilted lover, they keep reviling the “eternal enemy of the people” — all hopes of the Cuban elite are codified on the Empire: I hate you, my love. And since, meanwhile, the stealing must go on, Cubans remain the perpetual victims, in this case the émigrés and their families in Cuba. Lacking an honest recourse, and in the absence of any other ability, official turpitude uses family ties as emotional blackmail to raise hard currency. An enormous number of émigrés — more knowledgeable about Cuban reality that any foreign investor, and appreciably involved with the fate of their family in Cuba — budget part of their income to the saving remittances that help alleviate the hunger and poverty of their kin, subjects of the slavery of this dismal plantation. As soon as they arrive on the Island, the remittances are taxed immediately and ostentatiously by the gluttony of the landlords, and converted into headquarter tokens (they call them CUC), with which the slaves acquire, at astronomical prices, products offered at the company stores, owned by the same landlords. No Way Out is a perfect cycle of robbery, “legal” and assured, because the dictatorship knows that the majority of Cuban immigrants will avoid by all means letting their parents, children or siblings suffer deprivation and will strive to spend even a handful of dollars or euros to ensure the minimum safety of their families. And I hope nobody thinks that I am launching a criticism to those who send their remittances, or those who receive them. I wouldn’t be able to enjoy food, clothing, shoes and medications knowing my family is lacking them, nor would I deprive my children of certain benefits that, unfortunately, in Cuba are only available to a few. I just want to remind readers how subjected we still all are — or nearly all — in or out of Cuba, to the dictatorship’s diabolical machinery. The ones “over there” are forced to work harder to meet the needs of their Cuban family and to ensure the government’s free juicy slice; those “over here” are permanent hostages of the official extortion, and unwitting accomplices in the exploitation of their exiled families, with whom they don’t know when or how they will reunite, because the reunion also depends of the humiliating entry or exit permit of the masters. And in addition, these olive-green parasites, with haughty contempt, dare to call us “subsidized”! The condition of today’s Cubans is really sad. A regime that condemns us to so much material and emotional poverty depends so much on us! Despite the apparent ease with which life goes on, the magma is rising from the bottom and nobody can predict how events that will put an end to the Cuban dictatorship will unleash. Just in the last few days, events have accrued which, directly or indirectly, have an impact on this country, strongly staking a reality that, until recently, has been characterized by paralysis. Now everything has begun to move in reverse (a good example of that is what is already known as “the medieval list,” the 178 lines that, according to official publication, will receive self-employment licenses, to which we will devote a little more space in another post), but that –paradoxically- could mean a step forward if we take into account the popular ancient principle “the good thing about this is how bad it is getting.” Anyway, it has never before been worse, and there are premonitions in the breeze that things may even get worse. A very brief overview of the most relevant events is: the upcoming layoffs will leave us half a million unemployed in just six months, a significant increase in the self-employed tax, the piecemeal sale of the country to potential (and real) foreign investors, Decree-Law 273 of August 13th, 2010 (see The Cuban Official Gazette website), and the South American gorilla -Hugo Chávez’s- formidable slap in the face in Venezuela’s recent parliamentary elections and the consequent and immediate increase in oil prices in Cuban sales channels, which, as expected, will mean increased prices in transportation, food and other goods in the very near future. The social climate is tense and the old socialist ship is listing, threatening to do a 360◦ turn. There is a generalized feeling of worry and uncertainty, and it can be seen in every corner of this city. The new wave of misery that lies ahead is compounded by the growing discontent, the lack of confidence in the future, in the “revolution” and its leaders, as well as the ever increasing prevalent belief about the failure of the system and the uselessness to renew a clearly obsolete model. I do not remember ever before having found as persistent and epidemic social unrest reaching from the highest rated of the intellectual ruling caste to the poorest and most fragile sectors of the population. Early yesterday morning, a middle-aged and apparently very poor woman was picking up a shopping bag full of plastic bottles lying next to a waste collector in front of my building. “Let me take this before they tax me for it,” she said, with a smile that was part bitter and part accomplice. Because, my friends, the popularly called “deep sea divers”, previously persecuted and heavily fined by the authorities for creating unhealthy conditions in the city causing filth, in addition to offering a lamentable image for foreign visitors, now, by the grace of new official measures of self-employment and of official “euphemistology” will not only receive the new title of “recycling- sellers of raw materials”, but also need licenses to perform the same work for which, until just yesterday, they were being punished. Additionally, they must pay taxes in exchange for being submerged, almost all day, in the filthy detritus of nearly three million people, which confirms that crap is also the property of the state. Some denominations from the famous medieval list, so-called because it contains related occupations and types of work organization that do not correspond with present times, are truly amazing: water bearers, a joke on the water and sewage system, to the embarrassment Albear and others; lumberjack, in a country where deforestation has been rampant for over 500 years; travel managers, individuals who shout the destination of cars for hire or at fixed taxi line entrances and bus terminals; collectors-sellers of natural resources (¿?) manufacturers-sellers of religious articles, among others. Other occupations hitherto clandestine and not requiring any more than the personal initiative of those performing them, as in the case of those braiding hair, fortune tellers and the so-called “Habaneras” (usually young women who are dressed in colorful costumes, supposedly belonging to the colonial era, who walk through some of the historic places and charge tourists wishing to take their picture), will join the ranks of the self-employed, and will be obligated to also contribute to the Treasury. They seem to have thought of everything, except a line that will soon be greatly increased … the beggars. The lords of power could consider including beggars on the self-employed lists, of course, while they seek a more noble title for the occupation. We know they are talented in this regard. However, the very government engaged in violating the law that is trying to have so many who go astray “on their own” jump through the hoop of the legalities, faces a difficult challenge. I don’t think that they have sufficient repressive personnel to detect and punish the army of offenders, which will remain the majority, given that the only true act of defiance for this imperiled and fearful people has always been irreverence. The street cries of many of those who have been practicing these arts for years is that they will not request a license because, far from being an advantage, it will impose a heavy tax on their meager personal and family income. The government is fighting a war that it has already lost: it seeks to exploit the working population while preventing the formation of a middle class, able to surpass the official interests and give way to independent citizens. Such efforts, as happened with the system, are doomed to failure. The sad picture of the Havana night of September 27th, on the eve of the 50th anniversary of the CDR’s, with a few and isolated campfires, where small, pathetic, hungry groups cooked their traditional watery meals to share in their poverty, should be a clear signal that loyalty and subservience are concepts that are also depleted. There is nothing to celebrate. Not yet.